You will have opportunities to sponsor events that make our city great and make a name for your business, like the Fourth of July Festival, Summer Concerts, Harvest Fest and Tree Lighting! Becoming a member of the HVBA will not only bring recognition to your business in Happy Valley, it will enable you to get to know your community partners. There are three levels of membership to choose from as outlined below, so you can select the right membership for your business. If you need help making decisions about which package is best for you, please CONTACT US and we’ll steer you in the right direction. Standard Membership – $150 AnnuallyA Standard Membership includes a basic listing in the HVBA online directory that consists of: contact information, location, phone number, business description, website link, company logo and a revolving ad displayed on the HVBA website. 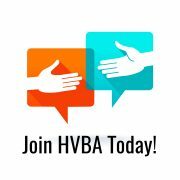 Premium Membership – $250 Annually A Premium Membership includes all of the Standard Membership benefits with the addition of: A revolving horizontal banner ad displayed throughout the HVBA website and a featured member listing within the online directory. Community Partner – Free To Those Who Apply A Community Partner is defined as a government agency, public utility, church, school or emergency service provider that is actively involved with the HVBA. All members receive a 20% discount on ads placed in the printed Happy Valley Business and Community Directory, have access to promote their business with revolving online coupons and can post their businesses and community upcoming events. If you qualify to become a Community Partner and would like your organization listed on this site, please CONTACT us. We want every business to have a voice!